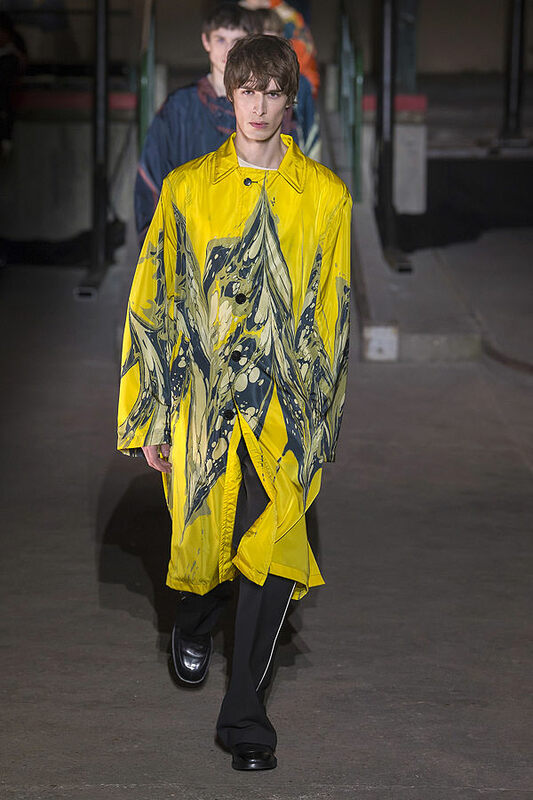 A stripped-down, cover version of Underworld’s classic banger Born Slippy, by Get Well Soon, punctuated the Dries Van Noten menswear show today in the former sorting office of the French Post and Customs and Excise. 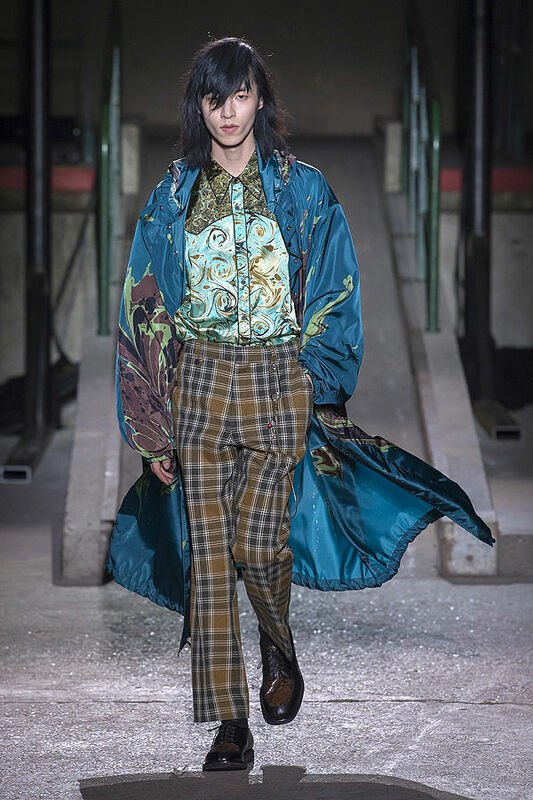 Van Noten has a knack for finding incredible venues in the center of Paris that no one has ever used before and this was no exception. 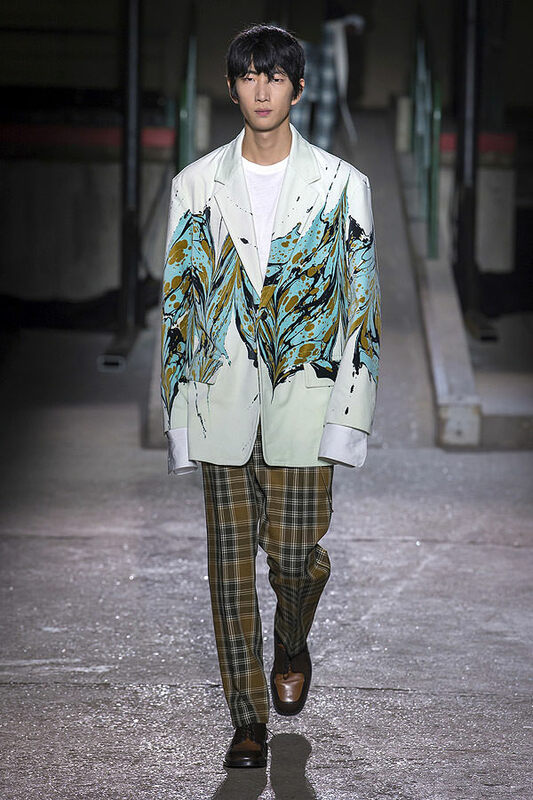 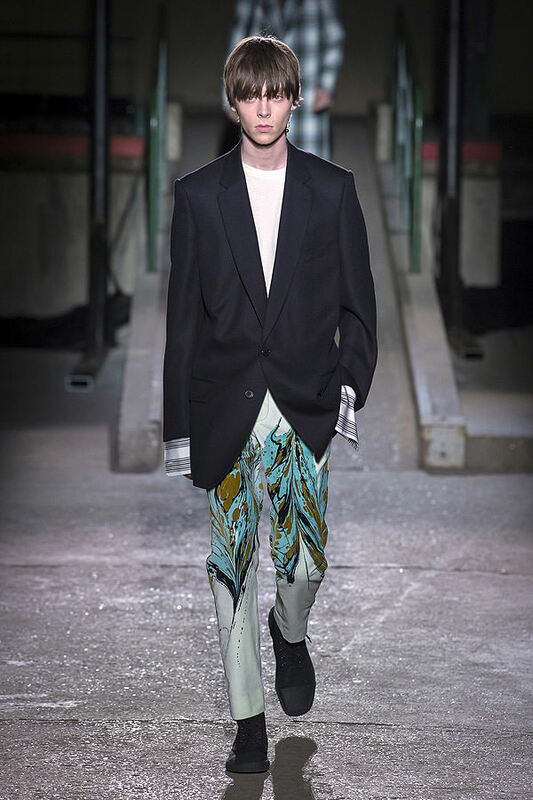 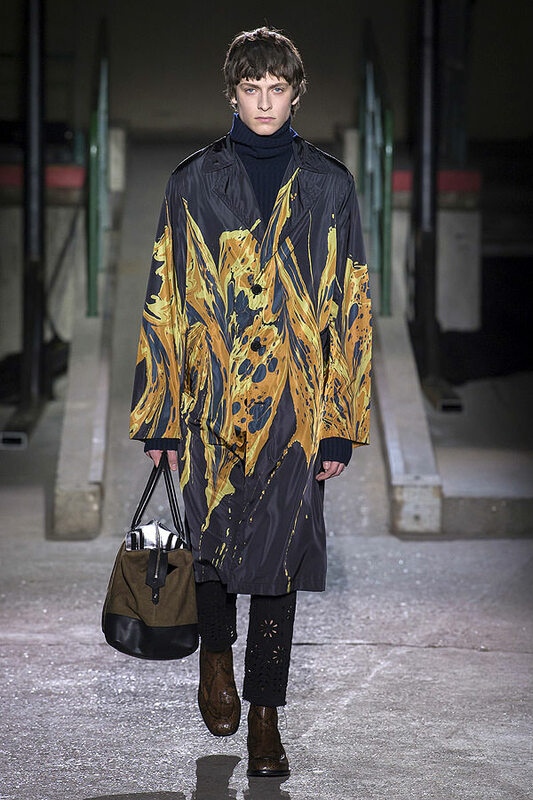 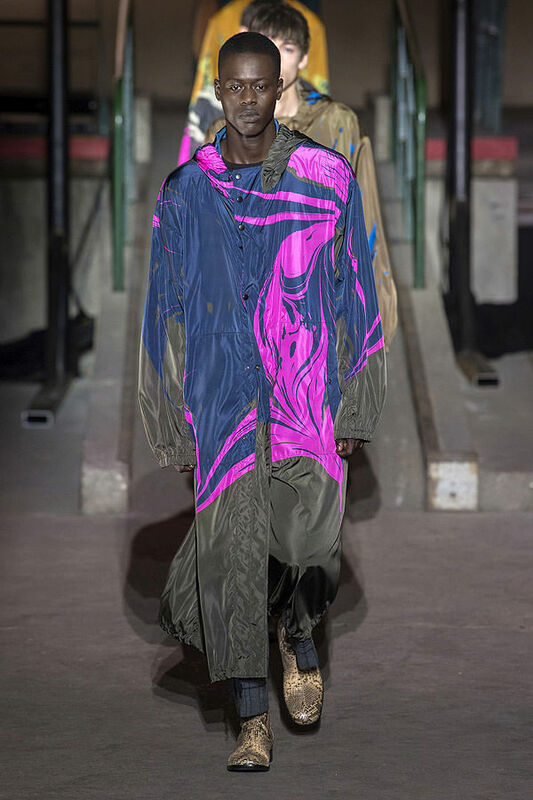 Speaking of things that have never been used before, Van Noten managed to find a technique he's never used before in the hand marbling that he worked to stunning effect. 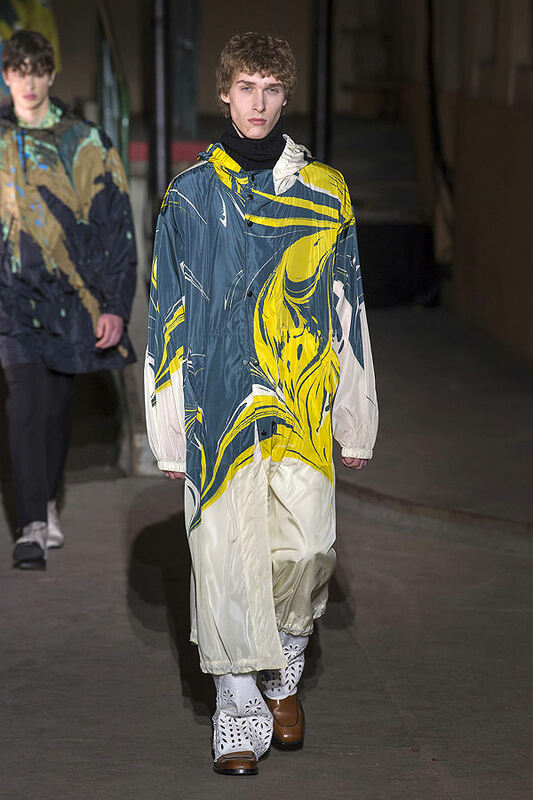 A technique traditionally reserved for paper, it was wild when applied to the allover prints of raincoats and outerwear, and even used to create an eye motif on casual wear. 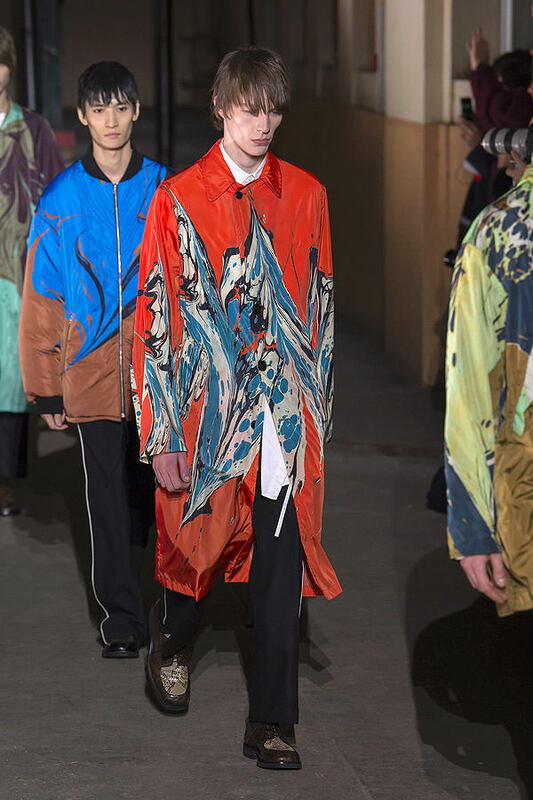 The finale was a veritable rainbow of marbled prints with all of the boys lined up in a riot of saturated color. 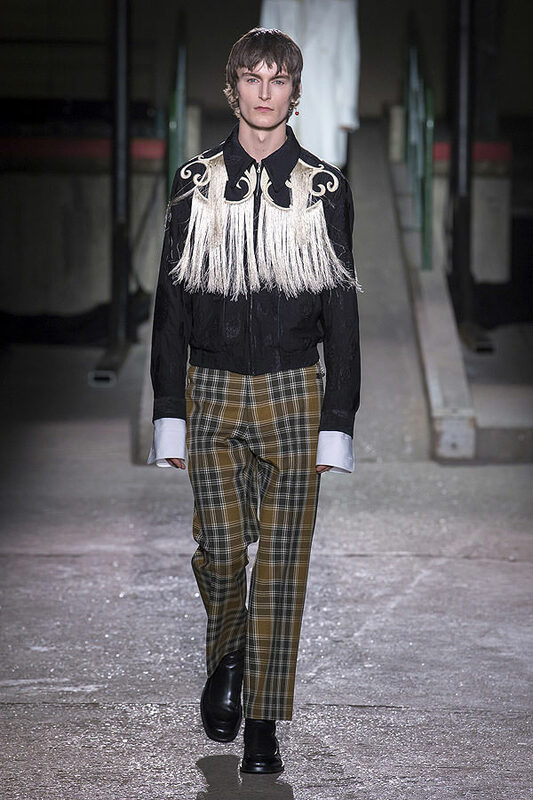 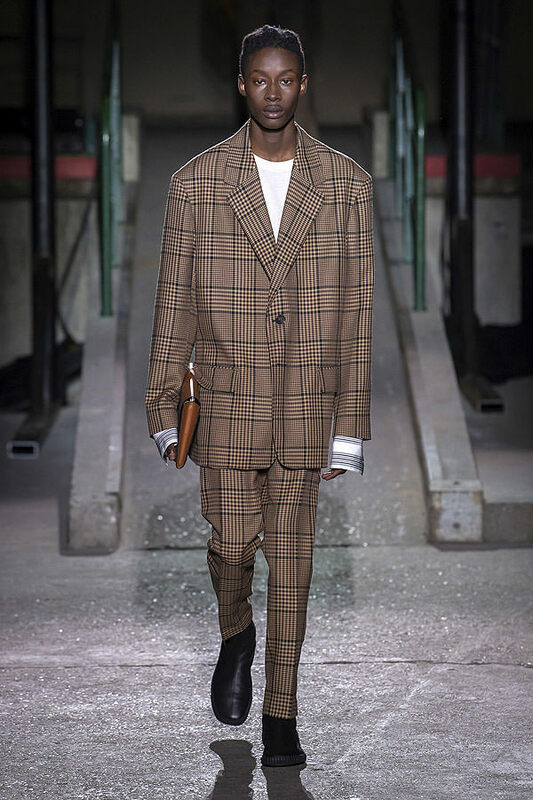 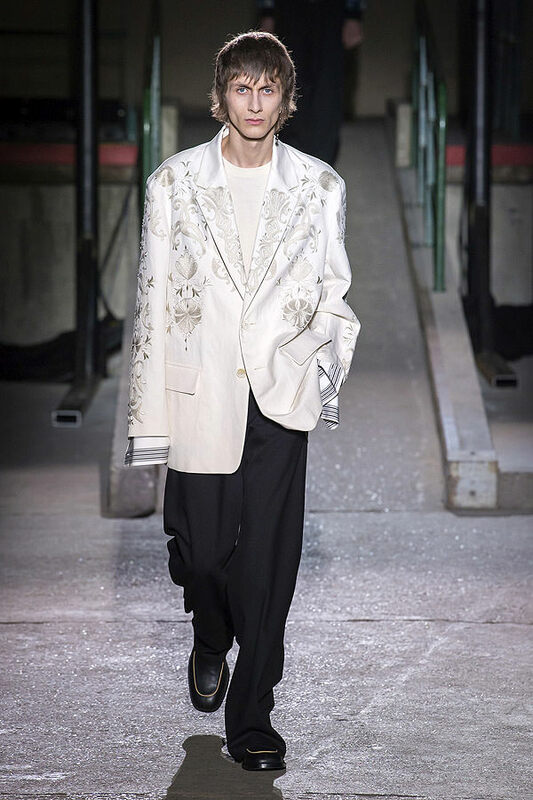 The collection was a refined wardrobe that transgressed time and sartorial codes, with an eclectic array of references ranging from Nashville to folk through traditional menswear, with western detailing and fringing meeting broderie anglaise in flowing cotton trousers and coating. 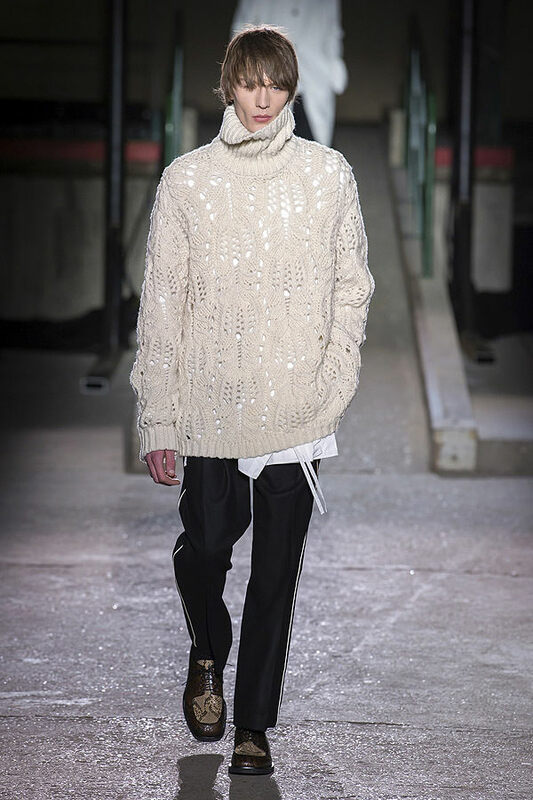 A new wide collar pervaded the collection on jackets and hand-knitted crochet cardigans that leant a retro-future feel to the silhouette. 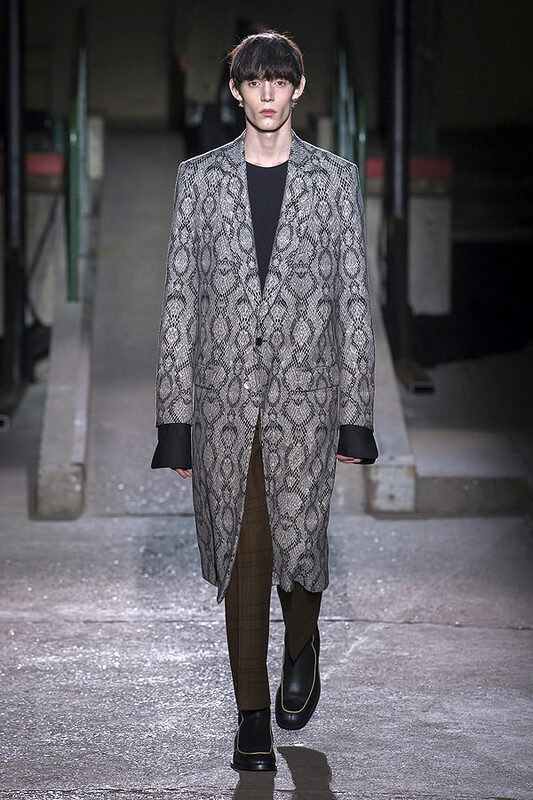 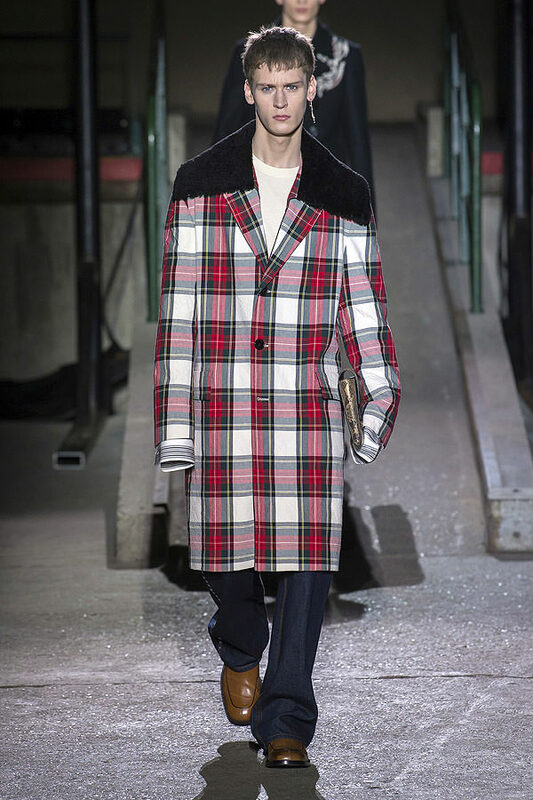 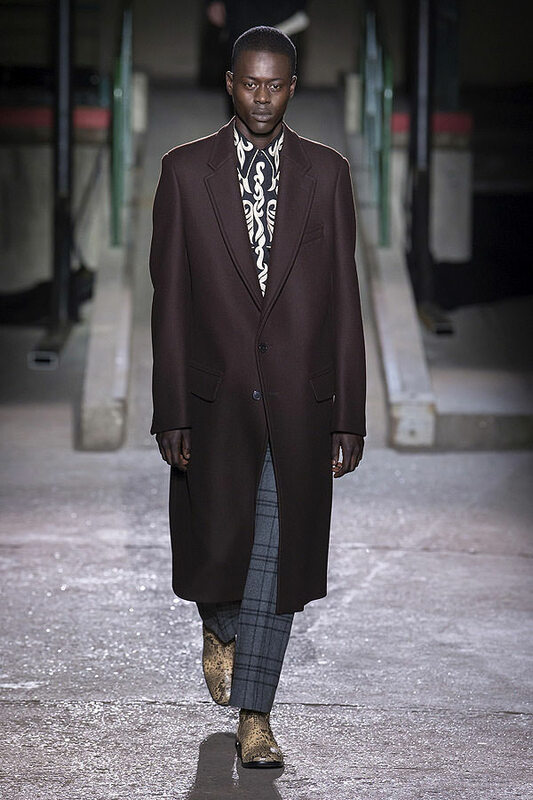 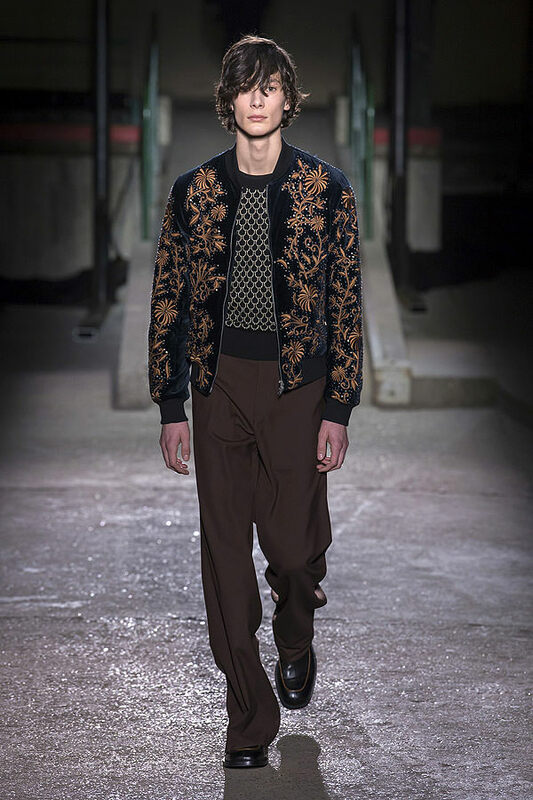 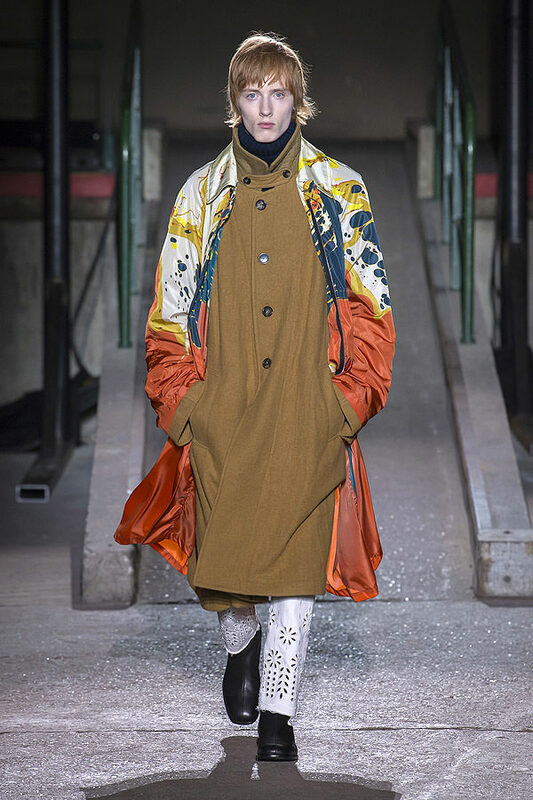 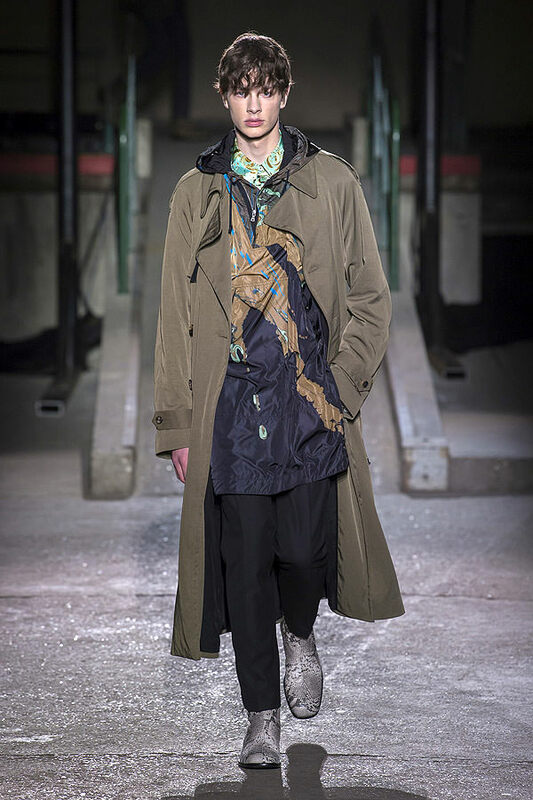 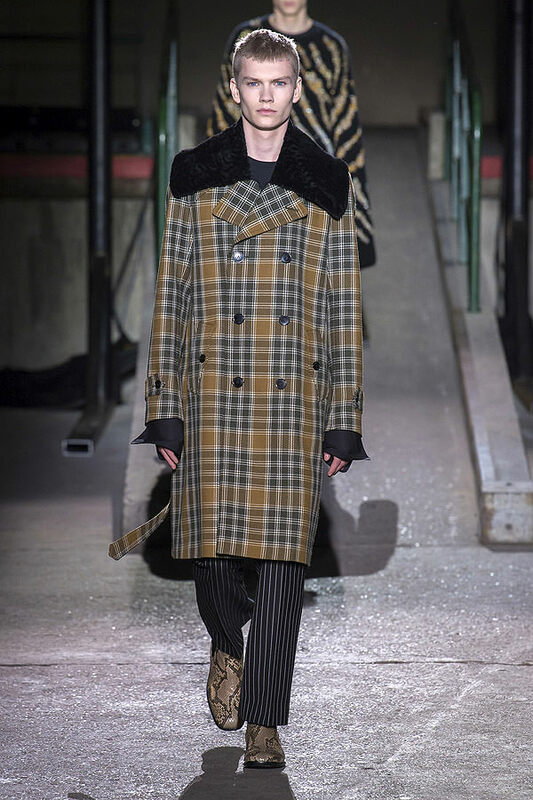 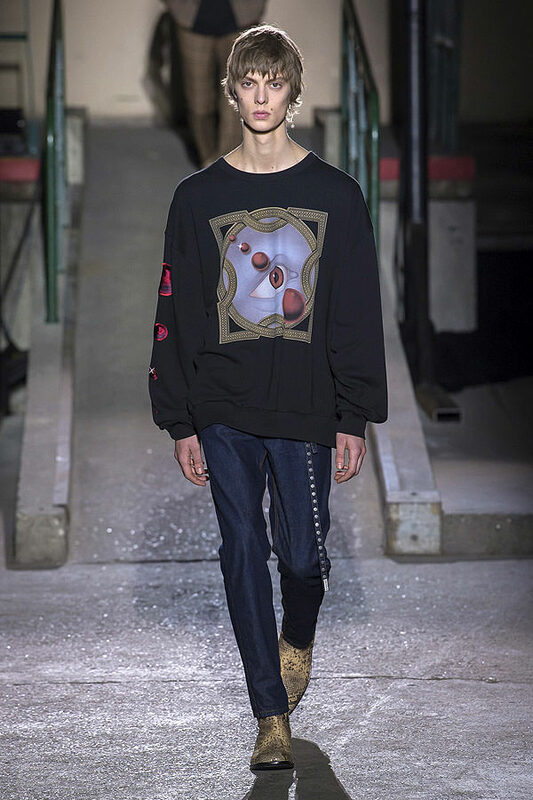 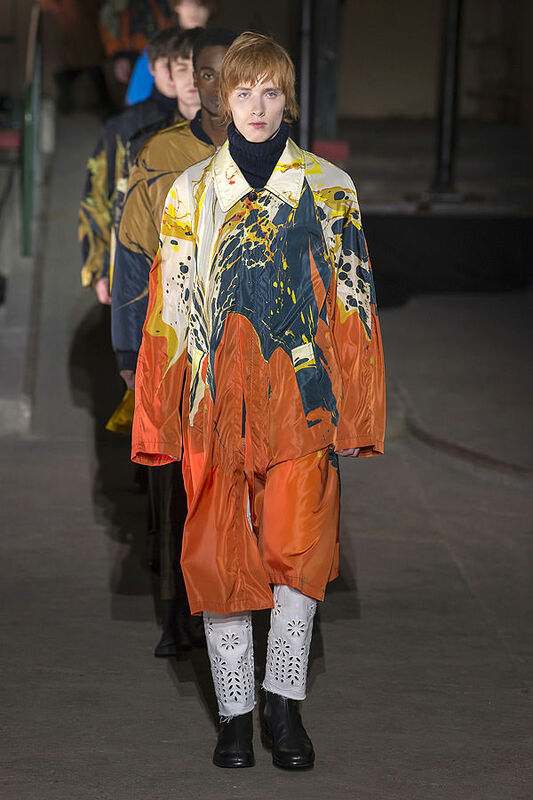 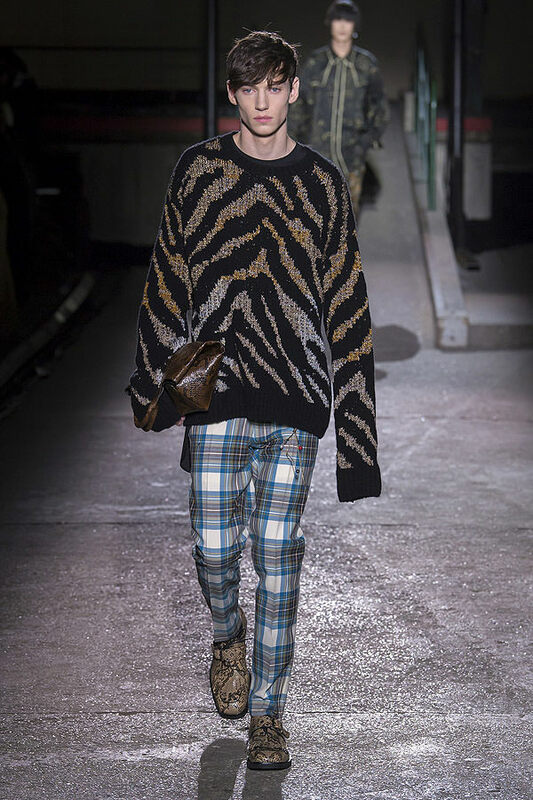 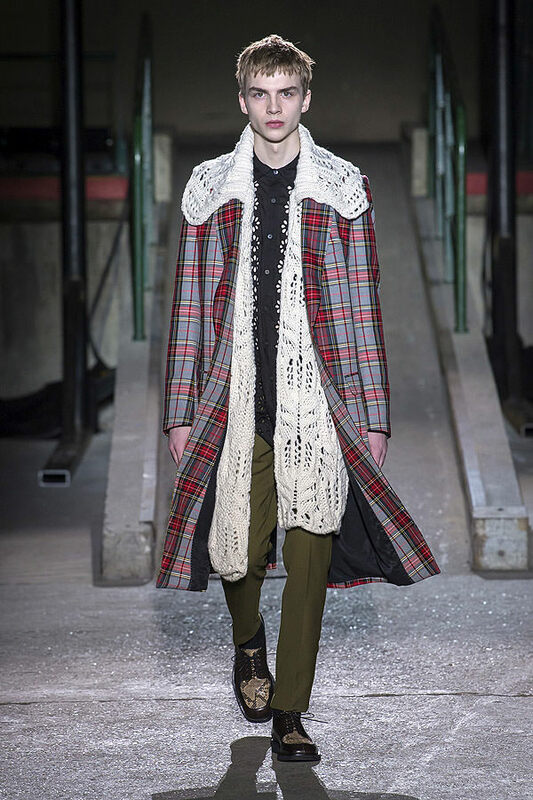 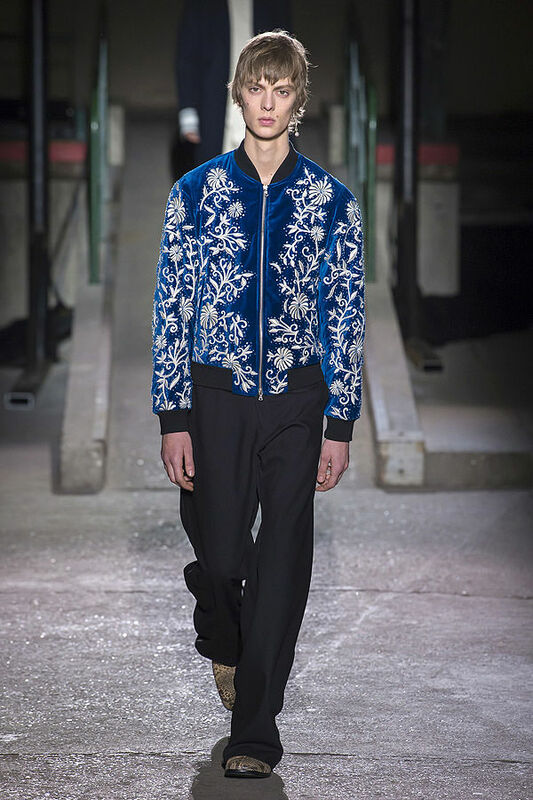 Van Noten himself called the collection “a few of my favorite things” and there was more than a few new favorites for the ever adoring Dries fans in attendance.